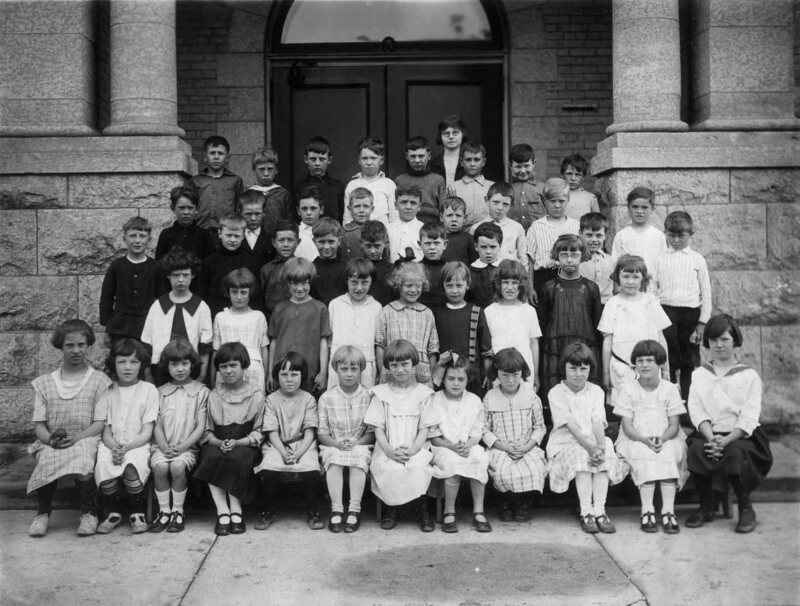 Comments: Mavis Farseman (Nee: ) | Winnipeg MB Canada | 1921-1940 | Comments: Tache School Grade 2 class picture taken June 1923. Listed surname is for teacher. From left to right: back row; Robert Sandlers, George Blower, Jack Gordon, Leonard Lucier, George Dillabough, Scott Bucham, George Hague, James Marten. 2nd row; Alan Recide, Fred Pratt, John Graham, John Hedley, Leonard Tustin, James Greig, Alex Mathesin, John Galt, Harold Grey. 3rd row; Bertie Calley, Kitchener McArthur, Robert Meanwell, William Abraham, Jack Coots, Gilbert Clarke, Herb Moore, Victor Boyd, George Hemsworth. 4th row; Esther Stenhouse, Evelyn Waller, Marion Wilson, Margaret Thomas, Shirley Buckham, Amy Anderson, Katherine Kirby, Helen Gutrie, Kathleen Trisk. 5th row; Margaret Lasue, Elaine Lloyd-Jones, Esther Muskovitch, Jean Starr, Patricia Waller, Ruth Tredwell, Eva McIvor, Evelyn Palmer, Evelyn Brown, Marjory Daves, Lillian Stewart, Mavis Farseman.